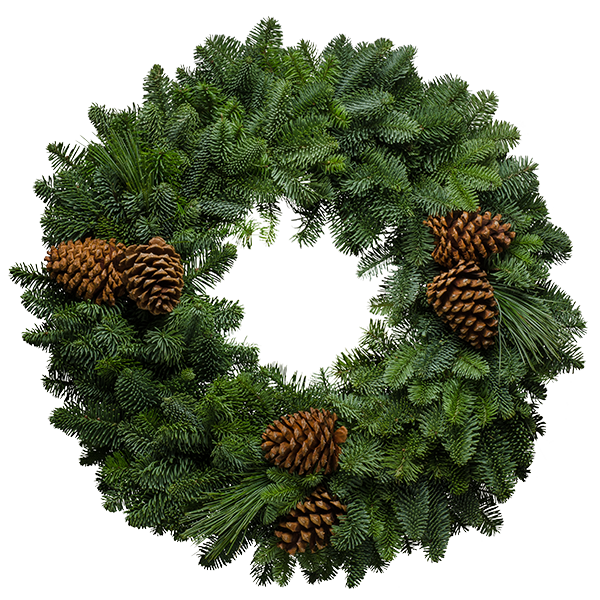 The simple, earthy beauty of the north woods is captured in this classic Christmas wreath. You’ll bask in the rich aroma of the fresh noble fir and natural elegance of the princess pine as this lovely wreath transports you deep into the natural wonders of the Cascade forests. Listen closely - you may even hear the lonesome call of a loon in the distance� This wreath is available in larger sizes as well. Please email Santa at santa@christmasforest.com or call us at 800-637-9627 for details. "I have to tell you this story: my mom has been sending a wreath to me for at least twenty years. Now that my sons are grown and married, this is one of their favorite Christmas traditions � waiting for their Christmas Forest wreath to arrive!!"